July 7, 2015. 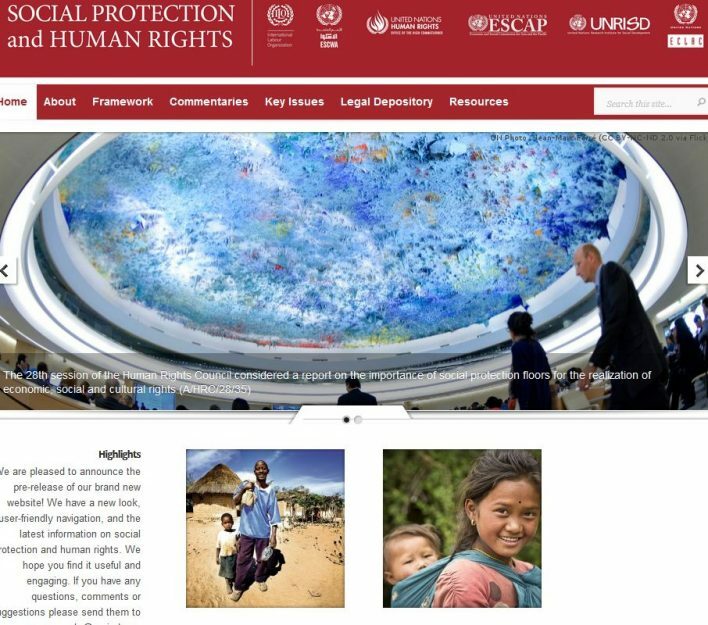 The Social Protection and Human Rights platform promotes awareness of human rights based approaches to social protection. Its aim is to encourage critical thinking about current systems of social protection and to help bridge gaps between policy and practice. Established in 2013, the platform is an initiative of the UN High Commissioner for Human Rights (OHCHR), the UN Economic Commission for Latin America and the Caribbean (ECLAC), and the UN Economic and Social Commission for Asia and the Pacific (ESCAP). Founding partners are Magdalena Sepulveda, a former UN Special Rapporteur on Extreme Poverty and Human Rights, and the United Nations Research Institute for Social Development (UNRISD). Harvard FXB policy director Alicia Yamin serves as a member of the platform’s advisory group. Tracing Shadows: How gendered power relations shape the impacts of maternal death on living children in Sub-Saharan Africa. Social Science and Medicine, 135:143-150 (2015; open source). For more information on social protections and human rights, follow us on Twitter at @HarvardFXB.